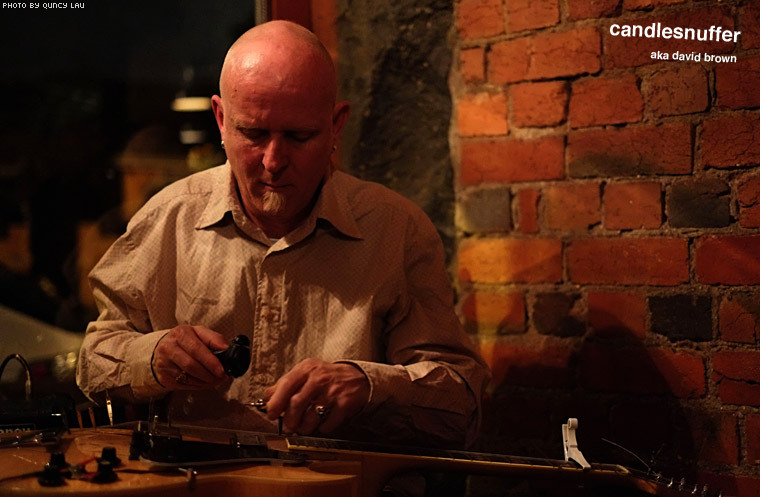 The Australian trio of composer/pianist Anthony Pateras, percussionist Sean Baxter and guitarist David Brown are dedicated to improvising with extended instrumental techniques on acoustic instruments. The enigmatically named and engaging Gauticle is their second CD, following 2004's Ataxia. All three are active in other combinations. Pateras enjoys the highest profile, regularly recording with Robin Fox, and has a forthcoming piano duo with The Necks' Chris Abrahams. The gamelan flavour of Gauticle has been remarked upon, but such comment implies some sort of faux-ethnological schtick which is absent from this focused and singleminded music. What's most striking is how all three approach their instruments primarily as sources of percussive expression. Structure is absent, as is any trace of call and response interplay. All three go hard out, building rainforest environments of shaken thickets and mournful wind-throws, until one emits a signature and recognisable blurt of musical timbre, only for the whole post-AMM group-mind scrum to kick off again in another direction, like a herd of cats chasing a pie tin across a piano with pencils tied to their tails. Superbly recorded in London and Vienna, the unplanned sonic alchemy is still structured to happen within certain, strictly prescribed aesthetic parameters. Just because a group of free improvisers can do anything, doesn't mean that they should. The trio quite naturally inhabit their group sound, and are captured on Gauticle trying to play their way out of it as though their lives depend on it. 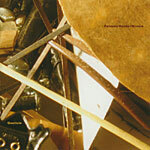 Gauticle is the second release for the Melbourne-based trio of Anthony Pateras (prepared piano), Sean Baxter (percussion) and David Brown (prepared guitar) recorded during their foray into Europe in 2004. Unlike their previous record Ataxia, this time they have opted for solely acoustic instrumentation. Describing their music as 'exploratory acoustic', the group combine their interest in improvisation and idiosyncratic techniques with an appreciation of free jazz, electronic noise and the classical avant-garde. One thing this album gladly lacks is that feeling of tentativeness which can so often kill recordings of improvised music stone dead. Having played consistently since forming in 2002 the trio is focused, deliberate and capable of great subtlety. Thankfully, this is also not a series of illustrations or set pieces to show off their various preparations, but rather 5 pieces of intuitively produced music. By focusing on their sounding possibilities Pateras, Baxter and Brown relieve both the listener and themselves of the need to examine or explain the purpose of the preparations, or the techniques involved. With their various preparations Pateras and Brown direct their instruments away from the sound of strings, melody and harmony, and instead focus on the timbral and percussive aspects of music making. Baxter's kit tends as much towards metallic junk, plates and cymbals as to drums. In a loose sense Gauticle is an album of events dispersed across all 3 instruments. Although this is a record with much attention to space and resonance, it never becomes reductive or simply pointillist. Instead what is most interesting about this music is the way small percussivie events coalesce into streams and layers of sound moving at different speeds, each of these layers containing elements from all 3 players. This lends the music a multi-directional feel, giving it an ability to propel itself forward without sacrificing a sense of space or even place. There are backs and fronts and spaces to the side, between and underneath the sounds presented here, but not between the instrumentation. This is after all a group sound. It's sound that flows--not just like liquid, but like a bucket full of miscellaneous rivets. Improvised music is often characterised as not just a music of interaction, but of possibility. This possibility is not just about what the music can be in the present, but how it can continue to invent itself in the future. And in that sense, it needs to draw inspiration from the resources it employs. On the evidence of Gauticle, it would seem that beyond their instruments, the music of Pateras, Baxter and Brown is underpinned by an attention to resonance. Of course, resonance is a fundamental component of acoustic performance: vibrating air inside the body of a guitar, a drum skin, a struck cymbal, the piano's sounding board, the tone of a room. Unlike much European 'chamber improv', which seems predicated on a reductive notion of sound played into some metaphorical silence, this understanding of resonance allows something more generative to occur and for the music to be able to find its future: that if music like this is underpinned by resonance then sounds other than instrumental sounds are crucial. So on Gauticle, even when individual sound sources fall silent, by following the trailing away of its reverberations we hear the recurrence of the sounds of other things, quiet, but still persisting: everyday sounds, other reverberations, other people, other interactions, and in those sounds the possibility for more. ... "Gauticle" is an incredible document of an exciting (and perhaps revolutionary) improvising group who, rather than repeating what has been done for the last thirty years, are truly exploring the possibilities of group improvisation.